Shopping online is easy. At least, the buying part is. The "delivery" part is not easy. It's stressful. If you're not willing and able to stay home for a valuable package, it gets left on your doorstep; a prime target for fast-working package thieves. Now, however, there's a smart solution called smart home security. 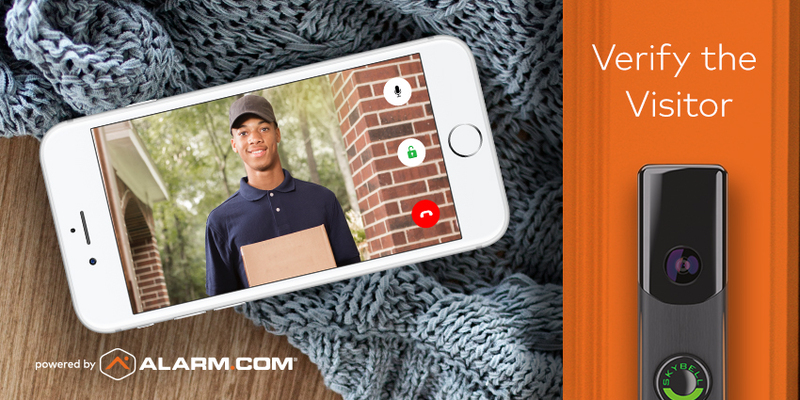 It lets you secure a delivered package in three easy steps—even when you're away from home—using your Alarm.com app. You'll know someone's at the door when the delivery person rings your doorbell camera. This triggers an alert on your smartphone, from which you can open a video screen to see who's there. Tap the microphone icon on your app's doorbell camera screen to say hello and start a two-way conversation. Once you've verified the delivery person, tell them you'll give them access. Ask them to leave the package inside the door, and to close the door behind them. Now, use your Alarm.com app to give access. First, disarm your security system. Then, unlock your front door's smart lock. You can do it all from the doorbell camera screen. Once the package is inside, and your delivery driver has closed the front door, it only takes a couple of taps on your app to re-secure your house. 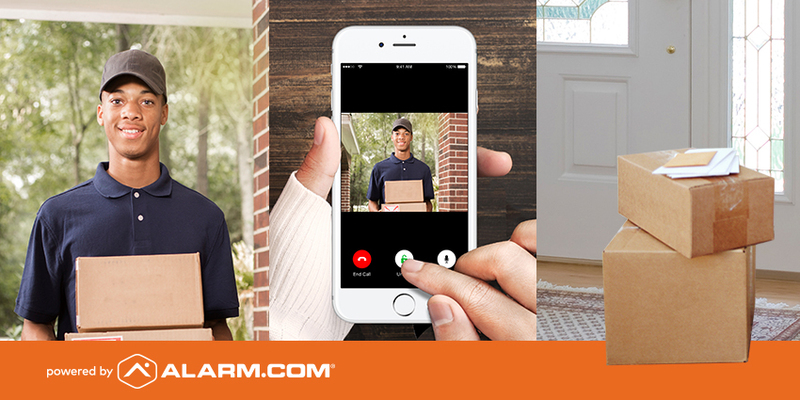 Lock the door, arm the security system and be sure to say thanks to your delivery driver. 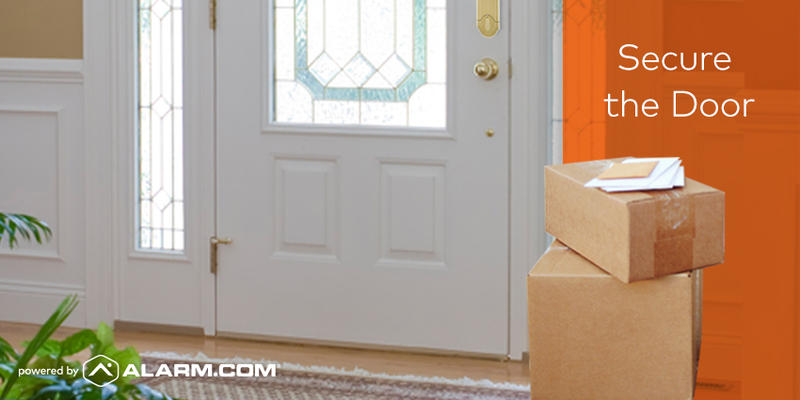 Your package is now secure and protected alongside everything else in your home. PS: If you prefer to use your garage as the drop-off point, you can do that too. Want to foil the package thieves? It's easy to have a doorbell camera and smart lock added to your smart home security system. Talk to your Alarm.com service provider today about upgrading your front door. Not an Alarm.com-powered homeowner yet? Enter your ZIP code in the box below to connect with a service provider.